Bright green leaves with shimmering water crystals and pink stems. Bite into a juicy burst of ocean water. Crunchy, refreshing and salty with a slight tang. 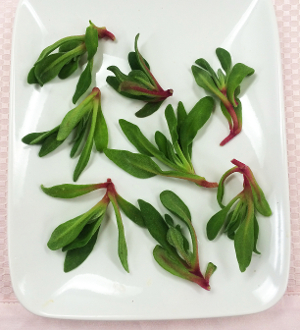 Perfect garnish any type of seafood dish. Unique addition for adding freshness to salads.